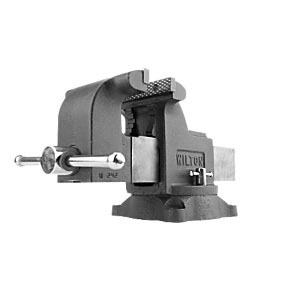 Receive a $75 Gift Certificate when you buy the 6" Vise. Only 1 left! 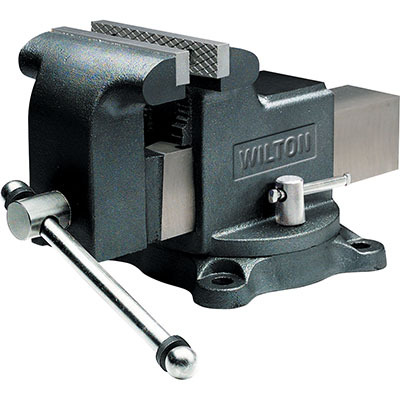 Wilton Shop Vises feature a heavy-duty castings with a 30,000 PSI ductile iron body built for rugged use and extended life. Available in two jaw widths. Includes a large anvil work surface with rubber pinch point safety guards and the capability of handling various sizes of pipe. Three mounting posts provide a stable secure hold. Has replaceable serrated top jaws and a 360° swivel base with double lockdown for easy positioning. For general duty applications.